Realtime-Spy is the latest in high-tech Android surveillance and mobile spy software that allows you to invisibly record activities on any mobile Android device you own and access the activity logs from anywhere at any time via our Realtime-Spy website! All logged activities are updated in real-time, allowing you to be able to monitor what your child or employee is doing as they do it. Realtime-Spy logs text messages, voice call information, website and application usage, photo captures, and more. Not just an activity recording solution, Realtime-Spy can report the location of your mobile device as it changes, allowing you to know exactly where your device is. Secure web-based log viewing allows you to track your Android usage from anywhere. 24/7 access to your monitored Android device, from any location via your personal, secure website address given to you after you purchase! Your activity logs are password protected and updated in real-time for constant review. As Realtime-Spy's name implies, it can show you what users do in real-time at the exact instant they perform an action - from apps being opened and closed, to photos taken, and website visits. Realtime-Spy can also display what users are texting in real-time, and who they are calling. Log and record MULTIPLE DEVICES from ONE REMOTE LOCATION without any extra configuration - just click what device you want to view logs for. Logs are automatically stored and categorized by device name for easy log management. Realtime-Spy's web interface can display useful Top 10 activity reports for website usage and application usage! Reports can be generated for individual computers, or for all computers logged in your account. Realtime-Spy's member's area allows you to clear individual logs, all logs, or entire devices from your account in seconds. Logs can be quickly archived and downloaded for storage or future use. Logs can be searched for specific information. Realtime-Spy will record all text messages sent and received from your device. All text message logs include the contents of the messages sent and received, along with sender/recipient, and time of each message. Log all events users performed and view them in an organized chronologically ordered listing. The Events Timeline lets you view what events the user performed, in the order they did them. Events logged include Location Changes, Application Starts/Stops, Website Visits, Text/SMS Messages, Voice Calls, Photo Captures, and more. See copies of photographs users take with your device's camera. Realtime-Spy's photo capturing will transmit copies of any photographs users take for remote viewing in your webspace. Log all website visits performed on your mobile device. All website visits are logged by website address and time of the site visit. Realtime-Spy also logs how long users visit each website so you can easily see what websites are visited the longest. Monitor and log all applications ran by users. Realtime-Spy logs when each application was started, stopped, and how long it was actually used, giving you an exact picture of how users are spending their time on your mobile device. Realtime-Spy will show you who users are calling and receiving calls from on your Android device. Know exactly where your mobile device is at all times. Realtime-Spy can track where your mobile device is by reporting its exact location each time it changes. Tracking. Constant GPS Location Monitoring. Know where your device is located at all times. Realtime-Spy allows you to remotely monitor where your mobile device is located via your web-browser. Logged locations are viewable via Google Maps for easy tracking of your device. Realtime-Spy logs the precise coordinates of your mobile device so you will always know its exact location. The location of your device is logged whenever it changes so you always have the current location. Realtime-Spy is designed to be an invisible and secure monitoring system. Using minimal CPU processing cycles, Realtime-Spy is not visible in any way to the user, and records and updates all logs without any user notification. 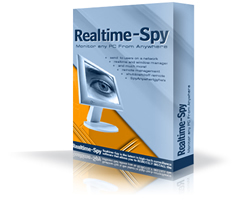 Realtime-Spy runs in COMPLETE STEALTH and is not visible to the remote user! The installation module that is ran on your mobile device will install a copy of itself that is hidden so it cannot be disrupted/removed. The app file you use to install the Realtime-Spy logging process on your mobile device is able to be discarded and deleted from your downloads folder without affecting Realtime-Spy's monitoring process! Realtime-Spy can only be installed onto an Android device you own, and have authorization to monitor. It cannot be used to monitor devices you do not own.